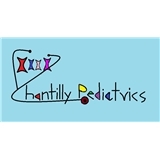 Chantilly Pediatrics (Chantilly) - Book Appointment Online! Where Children are Cherished! We are proud to serve the community of Northern Virginia. Our Pediatrician and Family Physicians have over ten years of experience in excellent pediatric care and compassion. We are thankful for each child we have the privilege of treating. You will find that our office is the perfect fit for your family-our providers have flexible appointment times and understand the constant juggle of busy parents. Our group is dynamic in the level of knowledge of exceptional diagnoses, familiarity with specialists in the area, and diversity in cultural background.